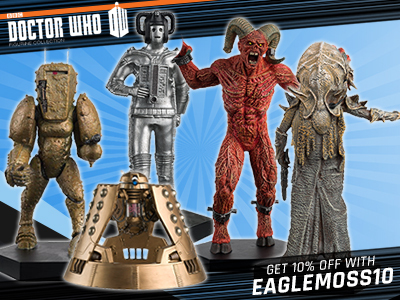 A new series from the Doctor Who Figurine Collection featuring the Time Lord’s most memorable companions! 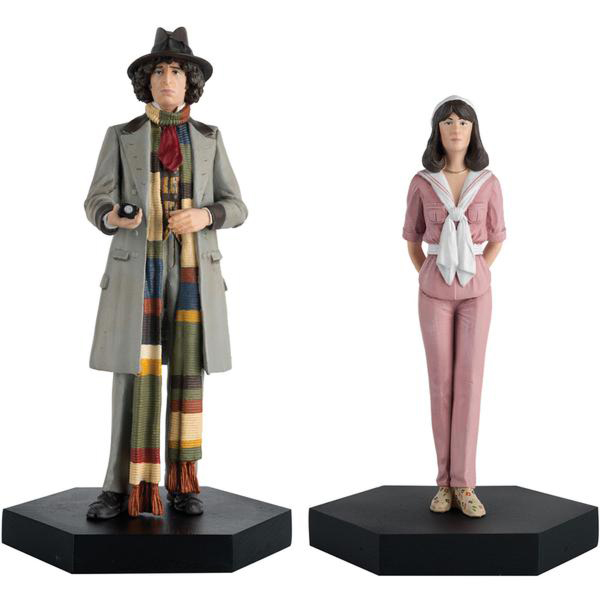 Collected together for the first time, the Fourth Doctor and his companion Sarah Jane Smith! 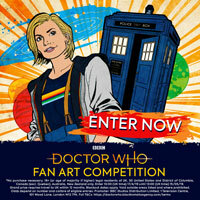 i wonder if there will be an adric? So we get these Feb 2019. I got my companion set 2 today (21/12) after telephoning them yesterday. 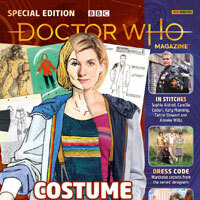 However, the mini magazine was of 11th Doc and Amy from set 1 so now have to contact them again for the right one. these are great figures but i wish they weren’t posed. 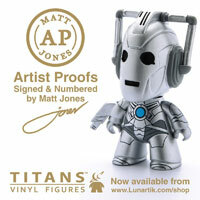 Are these going to be available to pre-order through eaglemoss like the other companion sets? 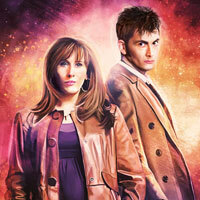 I was hoping we get Nine and Jack before Sarah and the doctor. I hope you’re going to be happy with what we’ve come up with for release later in 2019. 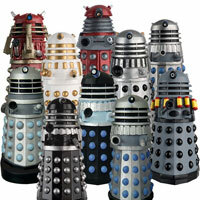 Love the main range and have all of them but not impressed with the Dr/companion range so far. The Sarah figure is also poor. Will give this range a miss. Prefer the monsters. What other companions are eg doing? does anyone know think they have brought out enough monsters. its such a shame we didn’t get these as part of the 5 inch line. Because Doctors sell, and these were all commissioned before they had any sales figures to work with. 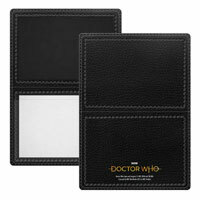 Things may change in future but in the mean time they will be Doctor/companion twin packs. 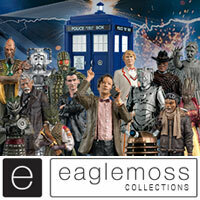 When does it go on sale cant find the link on eaglemoss. 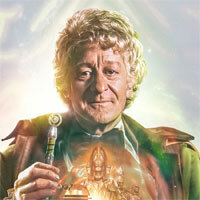 This latest Fourth Doctor figurine looks to be the best one yet and the previous two were really good. Someone send one to Tom. 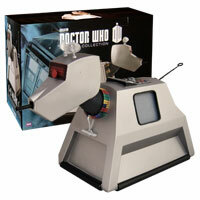 great set shame is looks nothing like liz sladen. I think it’s a pretty good likeness, especially considering the size of the figures.